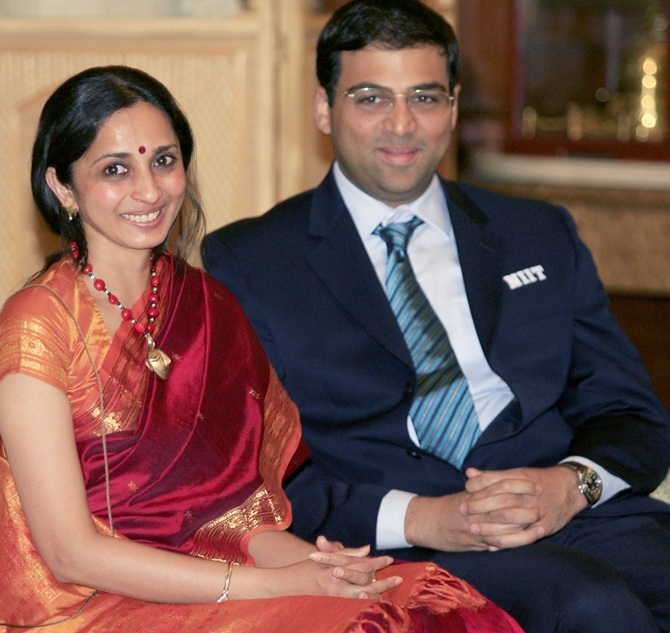 As Chennai gets ready to host the 2013 FIDE World Chess Championship, between the Viswanathan Anand and 22-year-old challenger Magnus Carlsen of Norway, Aruna Anand, wife and manager of the 43-year-old defending champion, talks to Shobha Warrier. Just a couple of days for the World Chess Championship to begin. How do you and Anand feel right now? When you have spent a good part of the year training for the event, and you know very well what you are up against, you want the championship to begin. 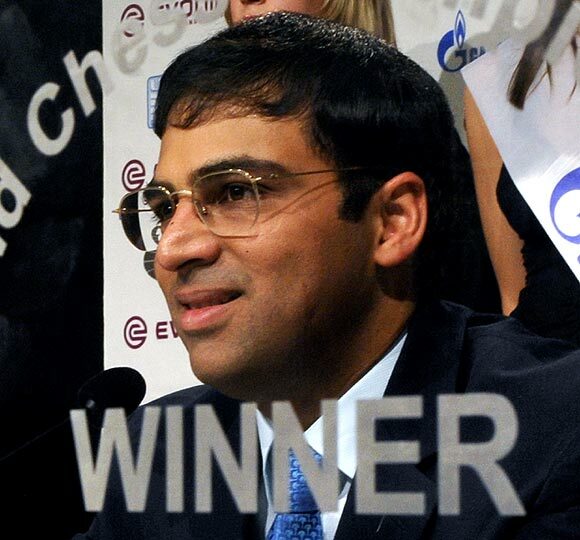 You have been with Anand for many years and have seen him participate and become World champion. 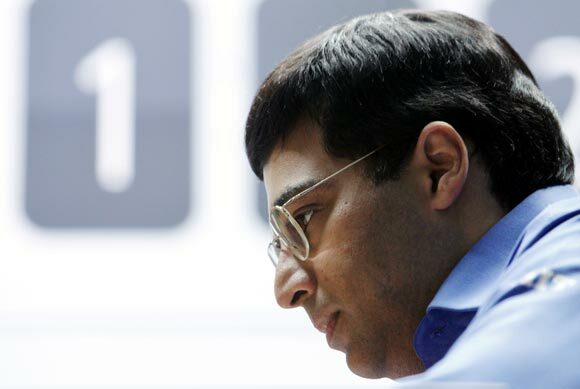 Is the feeling any different, because the championship is happening in Anand's hometown this time? I don't think it is very different this time just because it is happening in Chennai. A few days back, we were very aware that it was happening in Chennai. As the day nears, the place slowly fades into the background and it becomes immaterial. What is more important is that the World Championship is going to start on Saturday. When did you check into the venue? We have checked in on Monday, and once you are inside the hotel and close to the venue, everything else fades away. It is like the championship can be anywhere in the world. Has the entire team also checked in? They are slowly checking in. Some members are in and some would soon be. By the time the opening ceremony happens, all would have checked in. Are the names of those in Anand's team still a secret? Does Anand have food at the hotel, or does it come from home? The hotel has excellent food and they have gone out of their way to make us comfortable. We enjoy what is available. What kind of food does he eat during a championship? Generally, he eats light and does not overdo the food part of it. At the same time, he has to have the nutrition, proteins, etc. It is a very balanced diet that he takes so that he doesn't feel tired or too full during a game. It is a mixture of salad, soup, pasta, sandwich, etc. He also drinks a lot of fruit juices. Was it because the World Championship was going to happen in Chennai that you shifted base here? Oh no! We moved to Chennai in 2007, and, at that time, we could not anticipate this happening here (Chennai) after so many years. Are you happy that it is happening here? We are happy that our city is hosting the biggest event. A little bit of credit goes to Anand too! When he started playing chess, I don't think he would have imagined that one day he would be playing the World Chess Championship in Chennai. In a way, he is responsible for this in an indirect way. It is a very special feeling and I think very few persons in the world will have the feeling that a sport flourished in a country because of one person's silent achievement. That is what makes Anand and his achievements very special. What is great about Anand is that he has never spoken about it. His achievements sit very lightly on his shoulders. He was training in Germany for most part of the year with some small breaks in between. In his earlier interviews, he had mentioned about going for long walks during matches. Can he do that in Chennai? Well, he manages! (laughs) We have grown up in Chennai, so we know where to walk and where not to. Chennai is such a lovely city that even if people notice you, they just smile and not trouble you. That way Chennaites have this discipline, which is quite beautiful. I feel the city is rooting for its favourite son and everybody is quite aware what Anand needs right now. Do you, as Anand's wife and manager, feel any extra pressure now? Wherever a match is played you have certain amount of pressure before the first game. That feeling is the same whether the match is happening in Moscow or Chennai. It has already sunk in that it is happening in Chennai, and now we are only thinking about the first game. What we think now is how to get the act together efficiently. You can't overdo anything; at the same time, you can't pretend that you are relaxed. You have to maintain a balance. You can't exert yourself completely, as many games have to be played. What is the schedule when the match gets closer? The team works for many hours and then takes breaks in between for some amount of entertainment, like football or TV or a movie. They also take time of to relax and sleep. It is more like enjoying what is happening and not putting any pressure on anyone. The schedule varies widely; it could start as early as six in the morning or as late as one in the afternoon. It all depends on how they work the previous day. How does he relax a few days before the match? You know Anand very well! He is a cool customer. Anand is Anand, and he has a lid on his emotions. Most part of the day is taken up by training. He goes for long walks, and also watch some TV or movies or reads a book. Sometimes, he plays with his son too. Carlsen was one of his seconds sometime back. Do you think that gives him an advantage? He was not exactly a second. They did a lot of training games together before the Topolov match in 2010. Yes, that way, he got to know something about Anand and Anand got to know something about him. Do you feel it is remarkable that Anand is going to play against a person who was not even born when Anand started playing international chess? Credit goes to both the players, I think, for having such excellent sporting careers. This shows two excellent sportspersons are going to play against each other. How will Friday evening be? Do you two talk chess? Yes, you tend to talk about the game. You can't take your mind off the game 100 per cent. As an experienced Word champion and sportsperson, he knows he has to sleep and rest and be ready to fight the next day!